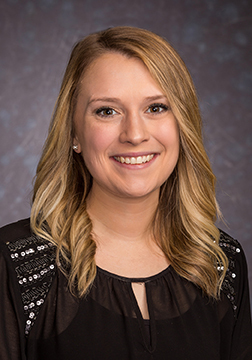 By Jeanne Eason February 6, 2019 Press Releases, Rochester, N.Y.
Rochester, N.Y., February 6, 2019 – LeChase Construction Services, LLC is pleased to announce the promotion of Katie Vaccaro to manager of contracts and claims. In her new role, Vaccaro is responsible for the company’s Master Agreement program, contract reviews and claims management. Starting her career as an administrative assistant at the Conifer-LeChase Construction (CLC) joint venture in 2011, Vaccaro also served as a contract administrator at CLC before joining LeChase as a legal assistant in 2013. She was promoted to legal specialist in 2016. Vaccaro has a B.S. degree in advertising from the Art Institute of Pittsburgh, and has Construction Risk and Insurance Specialist (CRIS) certification from the International Risk Management Institute, Inc. (IRMI).